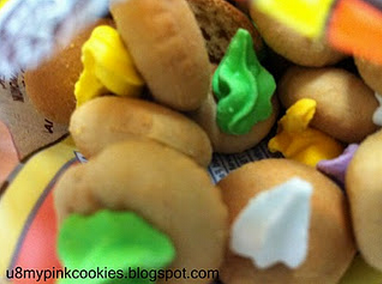 Being another foodie, Ms. Pinkc00kies shares her reviews about food she's eaten and where she had them. Her blog's one of the places I go to when I want to learn a new item on a restaurant's menu (or which item has been phased out, lol) which she just visited; or if I just want to know what she's feasting on! Go and check out her diverse food reviews for yourself...but I urge you to visit on a full stomach, since you might get hungry with all the delicious food that will greet you. My post for today is noodles again. I know, next week it will be different. Pinky promise. Well, this one was inspired by a Thai friend named Poulet, who also loves to take shots of what she whips up in her kitchen. I just love the healthy dishes she makes and these two dishes just inspired me to try something different. 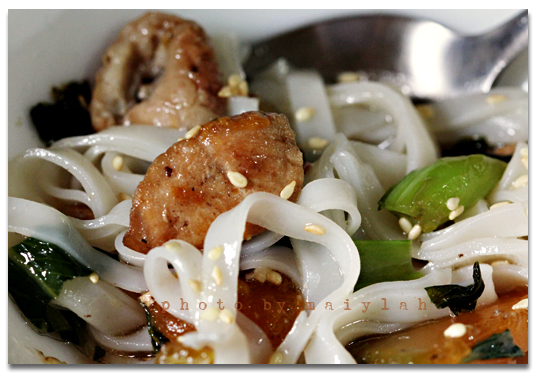 Hence, my rice noodle experiment (my first time to try cooking this type of noodle). 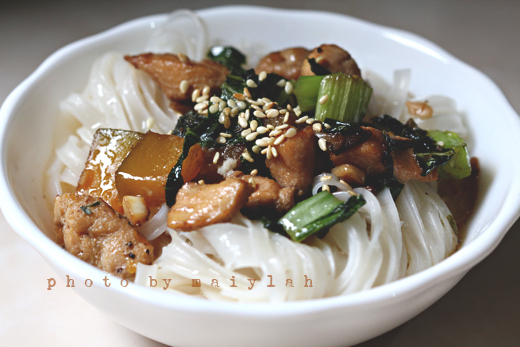 some ingredients used: squash, celery, onion, rice noodles, pechay (bok choy), and garlic. Cut chicken breast in small sizes, then brown over a hot pan with a bit of oil. Season with salt, pepper, and soy sauce. Add diced onions and garlic. Add in the squash since it takes longer to cook. Put the pechay (bok choy) next, then the celery. Mix everything well. Turn off heat. In a separate pot, boil some water and cook the rice noodles, which will only take about two minutes. Place cooked noodles in a bowl. Add chicken and veggie mix. Sprinkle with lots of toasted sesame seeds. I served this hot, but my sons loved it at room temperature. 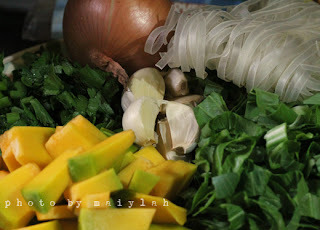 hehhee...pinky promise....:) sarap naman nito...dko pa na try lagyan nang squash...very interesting...looks yummy! squash in noodles sounds strange to me. well, maybe because i don't eat squash. :p but this is a complete meal...i love that you added sesame seeds. wow ang saraaaap at ang ganda-ganda ng pix! sa palabok na try ko na yung rice noodle ok din. Hi Maiylah! Feels good to participate here again. I'm not a noodle person but your pictures look good as usual. Makes me want to try it. Will check each step how you did it later. Wow sis! 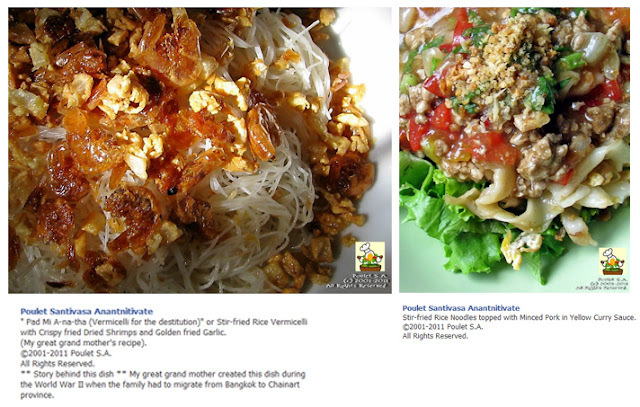 rice noodles...I am up for that! ...oh yes, we love the chewiness, too! the kabocha on your post looks interesting...does it taste any differently from our squash here? wow thanks for the feature! Another new dish I hope to try in the future! Another great idea to cook for dinner! I can't wait to dig in to those noodles and slurp them till the bowl's empty. Love it!